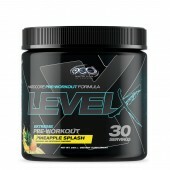 OCD Nutrition Level X 30 Serves A leveled up Pre-workout! 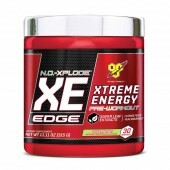 Look out, we have a new strong formu..
BSN NO Xplode XE Edge 30 Serves BSN introduces the next evolution of the pre-workout category. 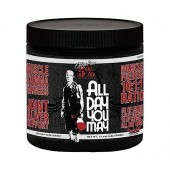 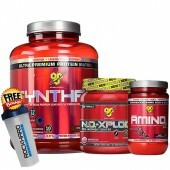 Ne..
BSN Super Stack - 5lb Syntha 6 / 45 Serve NO-Xplode / 30 Serves Amino X We have gone crazy here .. 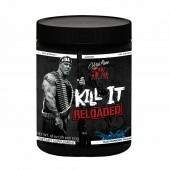 KILL IT Reloaded By Rich Piana 5% Nutrition The new and improved KILL IT Reloaded 30 Serves Pre-w..
BSN N.O.-XPLODE Original Pre Workout The NEW N.O.-XPLODE From BSN THE ORIGINAL PRE-WORKOUT IGNIT..
Beta-alanine is a non-essential amino acids that is not easily consumed in the regular mixed diet of proteins. 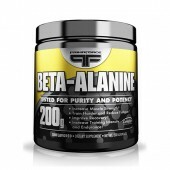 When we ingest beta-alanine, it will get converted into carnosine, which will then help increase your stamina, strength + muscle development. 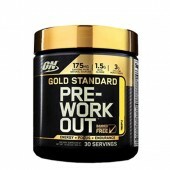 For the swoldiers out there, this will then enable them to train harder while they're in the gym, resulting in increased muscle gains as a direct result. 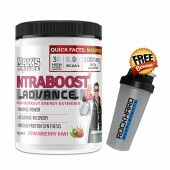 And for those who are doing more aerobic type of workouts by decreasing the amount of rest they're taking between sets, Beta-alanine will also help them recover more quickly between sets, therefore allowing them to increase the intensity during the workout. 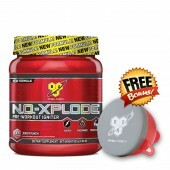 resulting in a higher amount of calories burned.